of current, voltage, active power, apparent power, power factor, crest factor, and accumulated energy at the input. are accessible through the built-in Web and CLI interfaces as well as through SNMP. 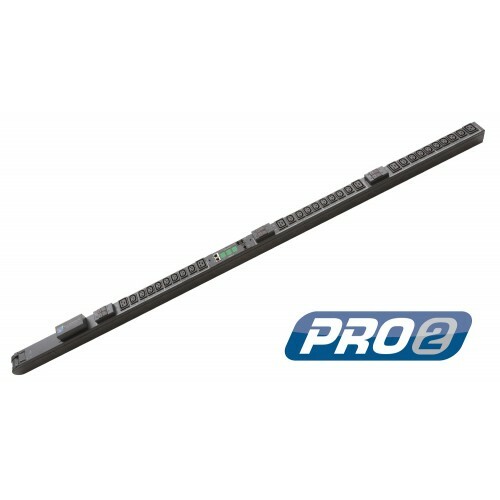 The PRO2 Switched "Master"
redundant or secondary power feed without the risks of a daisy chain linking configuration. - Buttons (KIT-0020) included for tool-less mounting (see diagram). - See the Mounting Bracket Guide for further suggestions. - Custom mounting options available. Contact your local Server Technology representative. address. 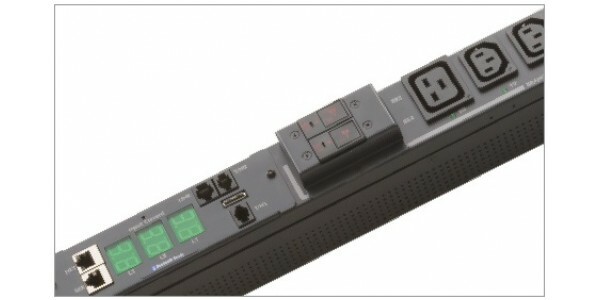 Primary link provides backup power to network card. through use of UL489 rated magnetic-hydraulic circuit breakers. backup power provided by the primary link unit. module to PRO2 for access to power data and system settings. probes. Receive SNMP-based alerts and email notifications. PRO2 receptacles have high retention and are compatible with Server Technology's LockedIn™ power cords (sold separately). outlets to reboot servers. Or, power off unused receptacles. at any facility no matter where power must be routed. simplify three-phase load balancing in high-density cabinets. custom mounting brackets (contact Server Technology for details). includes voltage, active power, apparent power, power factor, and energy. in 60°C (140°F) data center environments. Choose from six colors to designate circuits for CDUs in the data center. Color options include Blue, Red, Green, White, Yellow, and Black. PRO2 meets the requirements set forth by Cisco System, Inc. for its EnergyWise program for monitoring of device energy. Smoke Detector A smoke detector is an important addition to security and safety measures. Our smoke detectors are easy to install and configure. The ..
PC Connector: HDB & USB Console Connector: 3in1 SPHD(Keyboard/Mouse/Video) Length:5m .. This Sentry PIPS CDUTM (Cabinet Power Distribution Unit) combines all of the features of a Switched CDU with the ability to p.. 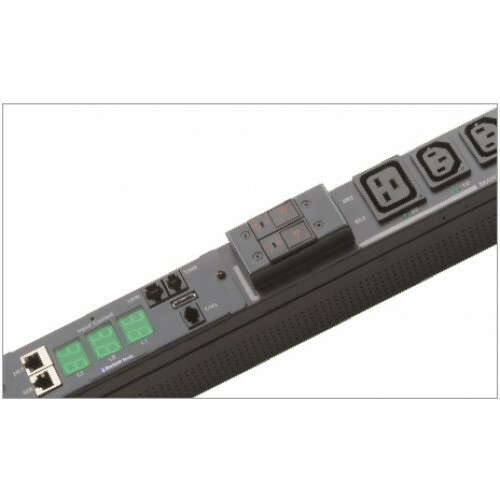 The Sentry 48DCWB-12-2X100-A1NB Intelligent PDU and Remote Power Manager minimizes the impact of locked-up routers, servers and other networ..